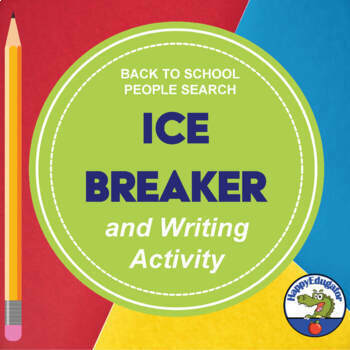 When you go back to school, use this icebreaker at the beginning of the year as a getting to know you activity. Find someone who is a people search. Give this to the students, and give them time to find people on the grid and have them sign the box when they do. 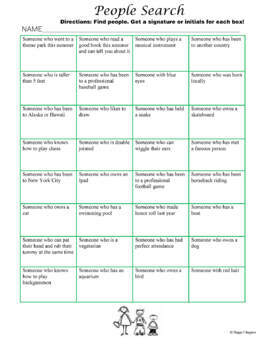 It's fun, and a good way for students to get to know each other. 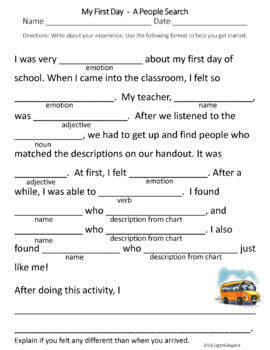 Afterwards, they will do a writing activity about the experience. 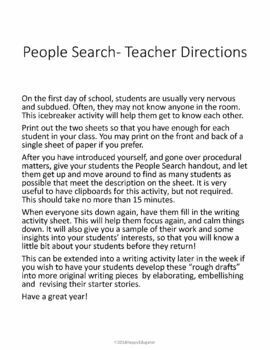 You will end up not only getting to know your students, but you will have a work sample as well. Teacher directions included.